A great customer experience comes from listening to and understanding each customer in a personal way, taking into account their preferences, interactions and interests. With so many different channels of communication and interaction in this digital world, it can be a hard battle to make sense of all of that customer data and to extract useable insight which enhances the marketing and customer experience. The first and most important place to start creating a supreme customer experience is data. Your customers have been giving you signals about what they like and what they are interested in, since way back to before they even became a customer. Throughout the whole marketing and sales process, your customers will be offering explicit or implicit information – either given directly or via their behavioural interactions with marketing and communication channels. This could be emails, webpages, social media, webinars, events, CRM systems, and customer service systems… data from across the whole marketing and technology stack. You can’t have static silos of information spread across the organisation in different systems or sitting with different teams. All information needs to be consolidated into one place, and a marketing automation platform provides the perfect place to collect this useful information. Marketing automation systems also provide the tools to integrate all of that information with other systems to make it useable in all areas of engagement. 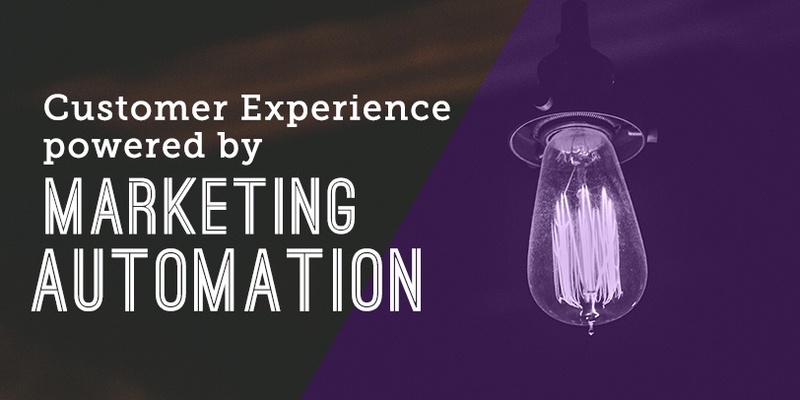 Marketing automation also has the tools and technology to provide personalised, tailored marketing and customer communications back through all channels using the explicit and implicit information. This will provide a way to listen to, and respond consistently to customers, in real time, in a reactive, personal and proactive way. Modern MA platforms can help to listen to millions of interactions, across all marketing channels, web engagements and even across the Internet of Things, social media and other technology in the stack. It will organise the information in real time, and trigger interactions that positively surprise your customer or potential customer, creating a great customer experience in the process. So just remember… today, interactions can happen in multiple ways through multiple channels, at a fast pace. Keeping a seamless engagement to deliver a world-class customer experience requires you to listen to your clients and react and respond to them in a way that is consistent, meaningful and useful to them directly. To find out more about using marketing automation to create superior customers experiences, speak to us today on 02392 314498 or email info@reallyb2b.com.